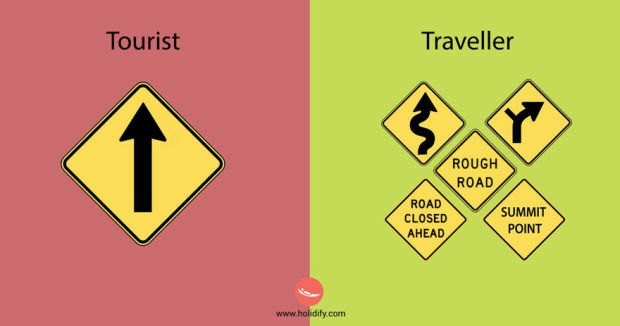 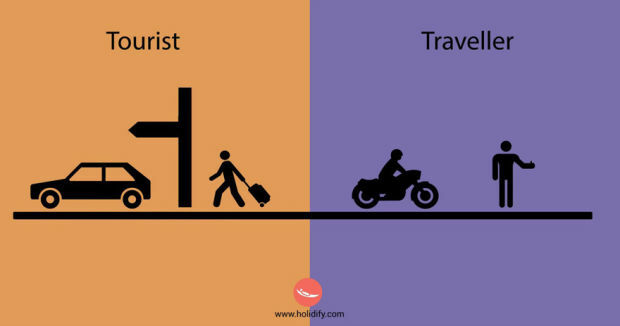 Have you ever wondered what the difference is between someone who travels and a tourist? 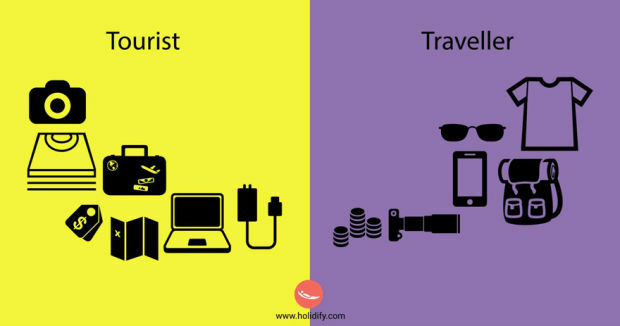 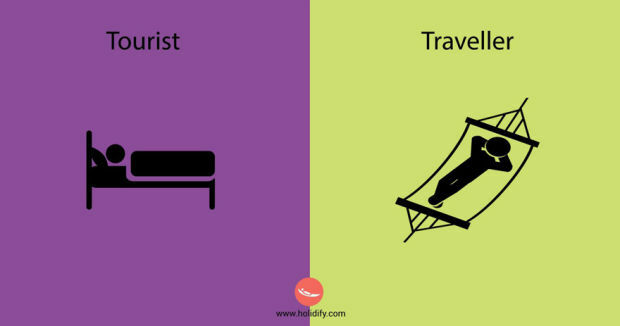 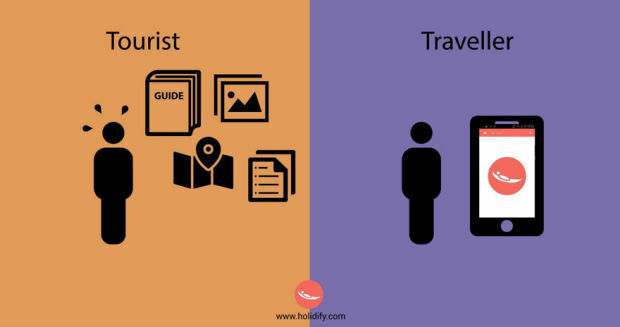 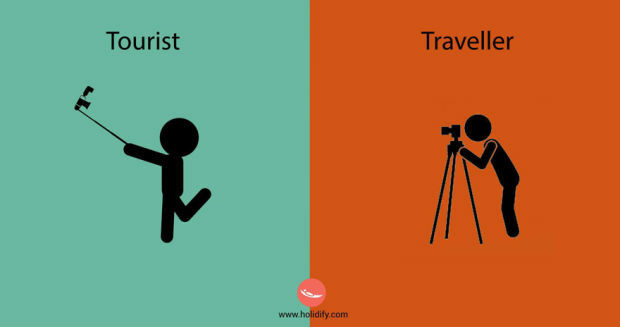 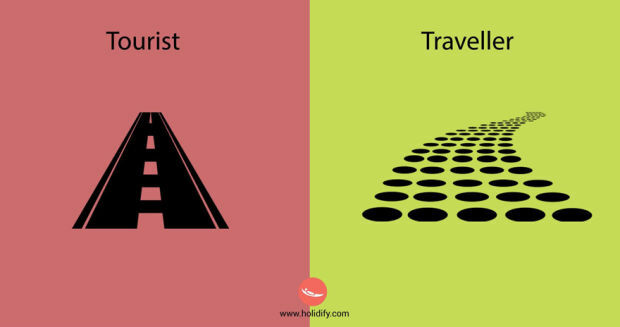 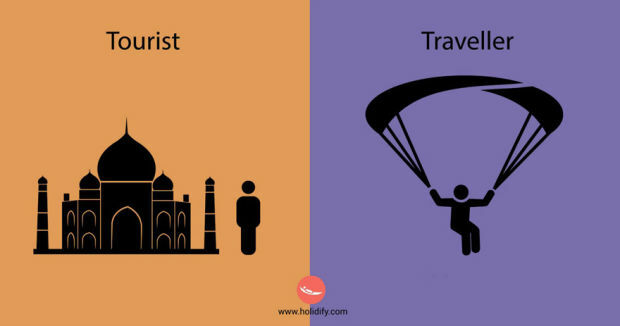 well catering company Holidify have come up with a fun series of illustrations that highlight the differences between the tourists using selfie sticks and hotels to the travellers who use professional cameras and camp instead. 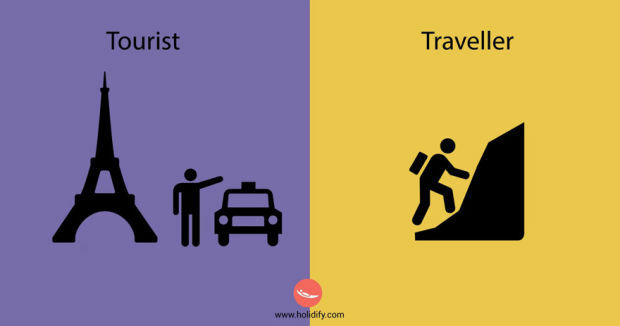 Of course these are just generalisations but a lot of them are fairly accurate. 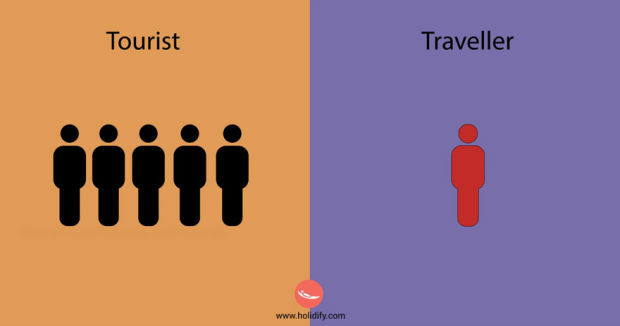 The question is, which one are you?.